Silver plating was a revolutionary innovation that was both developed and perfected by Christofle company founder C. Christofle. With silver plating, it suddenly became possible to democratize the trade of silversmithing in order to make beautiful silver pieces more affordable for customers. With silver plating, customers who had previously coveted items in the Christofle line, but were turned off by the price had a way to get the pieces they loved. Silver plating was the heart of the Christofle legacy, and it could be used for every product category except for jewelry. 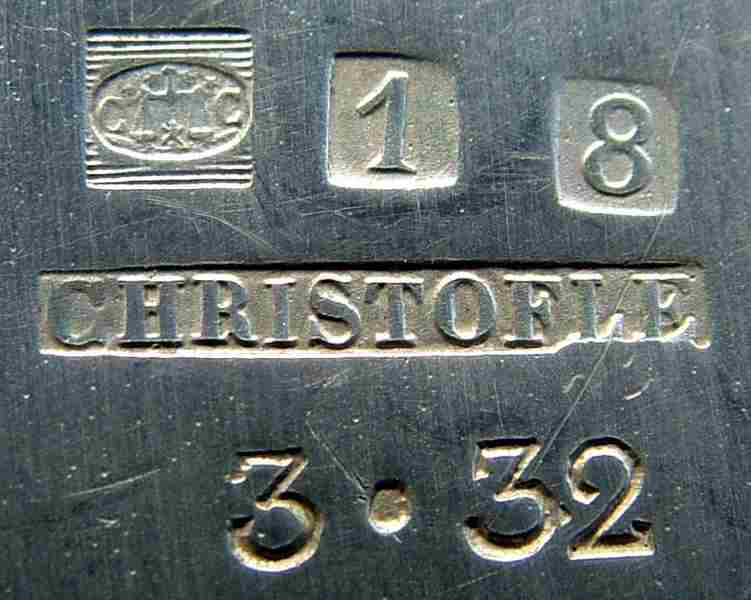 However, even with silver plated items, it was still important that pieces be easily identifiable as part of the Christofle line. 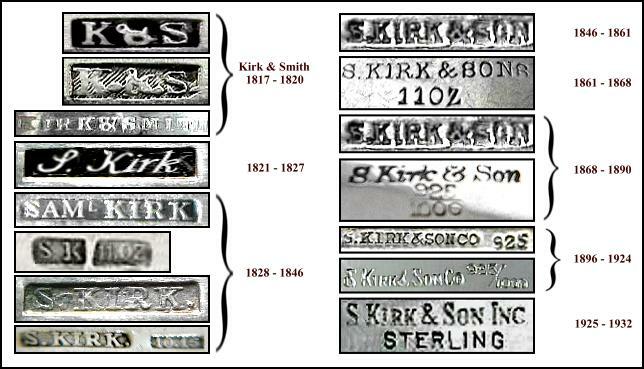 That’s why the company chose to use special hallmarks indicating the manufacturer and the amount of silver in the plating. Today, many customers have questions about the items in their collection and the amount of silver they contain. Beginning in 1862, a second standard full mark was used. The main difference from the earlier mark as that the “CC” mark was now put inside of a square box called the “poincon de responsabilite.” Instead of a bee, there is now an image of a rosette (flower). Another new element was the designation of the silver content in square-shaped boxes rather than the former lozenge-shaped boxes. In 1935, Christofle introduced the third standard full mark. Instead of using the initials “CC,” it now contained the initials “OC.” The OC refers to “Orfevrerie Christofle” or Silversmith Christofle. The “OC” marking is enclosed in a lined regular box. 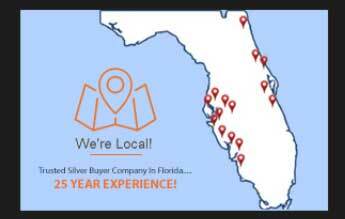 If you have a Christofle piece and need to know its value, Florida silver buyers are a great resource to determine what exactly you have. At Antique Silver Buyers, we can evaluate your silver item or collection to determine its authenticity and whether it is sterling or plated. With a wealth of knowledge about silver plated hallmarks, we’ll give you an idea about how much your collection would sell for at auction. If you are in the market to sell your piece, this information will be valuable when you decided on a price.